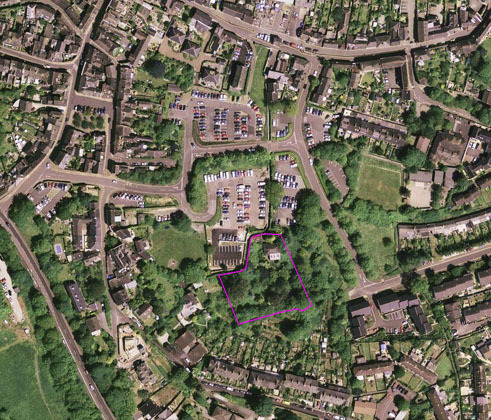 The image on the left shows southern Totnes, with the outline of the Leechwell Garden shaded magenta. 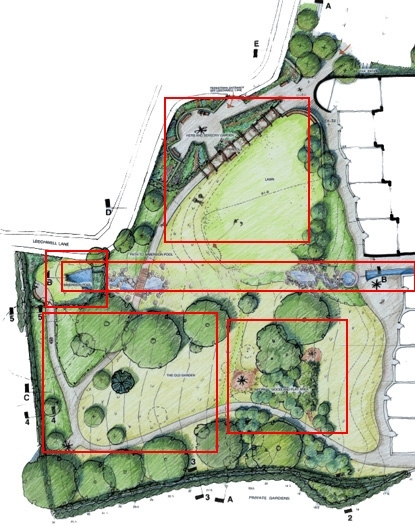 The drawing on the right is Charlotte Rathbone's 2006 design for the garden. The design emerged from a lengthy consultation process, culminating in an exhibition in the Totnes Civic Hall in 2006. 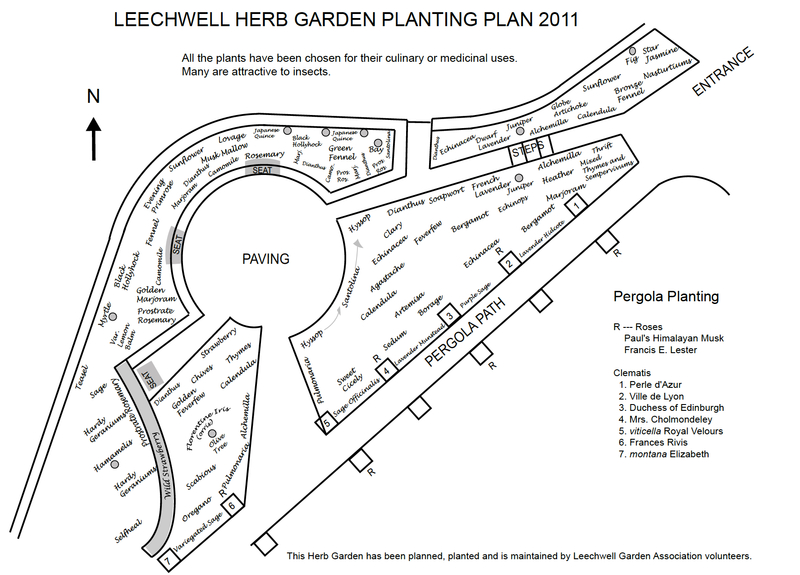 You can see more detail about the areas outlined in red in the garden design by clicking inside them. 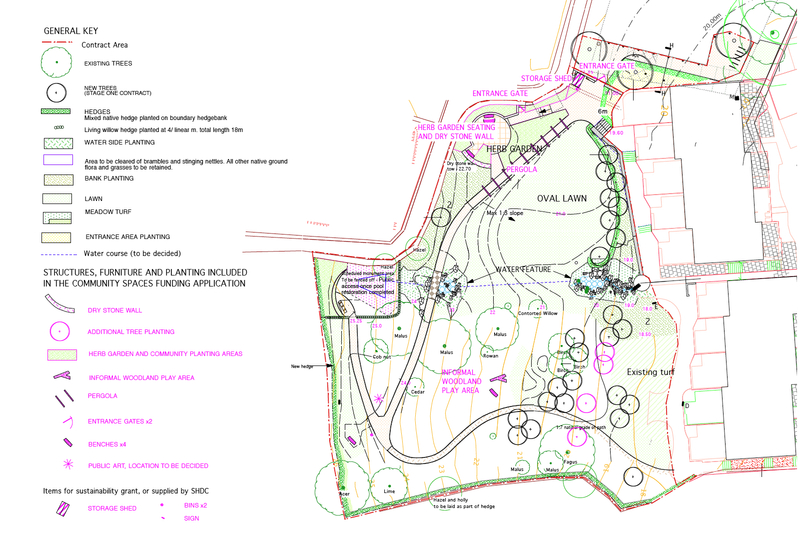 For more details about the 2006 Garden Design, including cross-sections and boundary details, click here. Below the 2006 design is the 2010 implementation plan which shows in more detail how the garden will be laid out, including details of where the new trees will be planted. 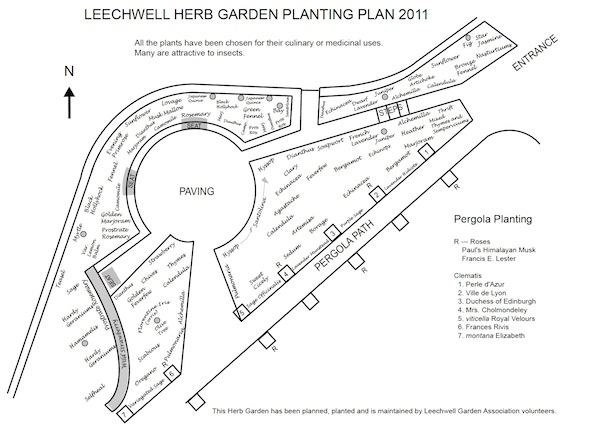 There's also a detailed plan of the actual Herb Garden planting. Click on either drawing for a more detailed view.